attendance is about 1000. (200 of which are women). Muslims in PNG is between 3,000-5,000.
my interpretation of the paper is that Islam is growing in the country. to Islam until after I have sold all of my pigs." grow on it's own without as much momentum from the local Imam). environment in which we serve, once it does reach critical mass. 3 weeks ago I was outside cleaning my house on a Saturday. I didn't feel like doing any hard labor that day so I decided just to dust for cobwebs outside. Spiders can leave a huge mess if you don't stay on top of it. We get some rather large spiders here. I was 1/2 way into sweeping one wall when, BOOM, SPLASH. The hatch over a concealed septic tank, broke and gave way beneath my feet. I fell into the septic tank, catching my entire weight on my left side. I was covered in things best left unmentioned, and couldn't catch my breath. Long story short, the doctor said that I have a costacondrial separation (in my left flank). Not sure if the ribs are cracked or not, it's hard to take a full breath, but I'm rather sure they're not broken. The Doctor says this is gonna take a long while to heal. I'm cool with dealing with chronic pain, my only concern is the flight we have in June coming up. It's been 3 weeks and I still can't sleep well at night because I have to lie very still or I feel bad pain. Anyway, pray for my healing please. This last year I feel like I've been a punching bag a little bit. I would prefer not to be in total discomfort for the entire flight if at all possible. book on CD or book? Would you rather read the book? Listen to the book on CD? For me, I'd watch the movie first, then if I liked it, I'd read the book. But I'm happy to have the choice. What WE do here in PNG, is make the books. What I do here in media is make the movies and CD's. It is evident that there is a huge need for audio here. I'm privileged to be a part of it. 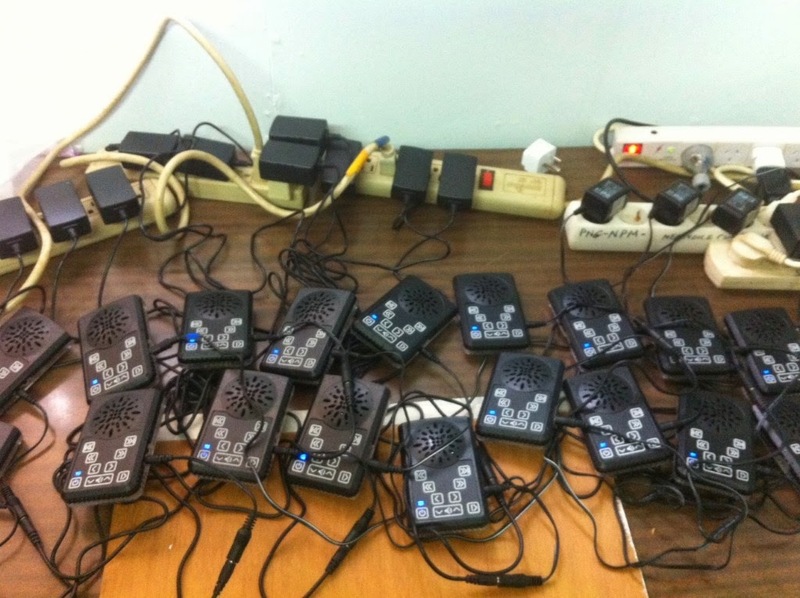 Imagine trying to charge 20 cell phones all at once, every hour. One of the last things we do before sending an Audio Bible out into the village, is to make sure it works and has a good charge. We want the units to be trouble free right from the beginning. So we take the unit out of the factory packaging. We plug it into a wall charger, we charge it up. We turn on the unit, turn the volume to max, and make sure the unit works. Then we put some final assembly touches on it, repackage it, and send it off. This helps us to weed out any factory failures, etc. (believe it or not we've had people claim they were broken because they hadn't turned the volume up.... so we do that). This week's Jury rig has helped speed up how fast we can charge the units. Each unit takes 45 minutes to charge. We originally had 10 wall chargers, with their wires dangling every which way. There are 20 units in a box. So, each box would take a little under 2 hours to charge. That means every 45 minutes I get up from my desk, to go unplug 10 units, hunt for the wires, and plug in another 10. I decided to dig up 10 more chargers. 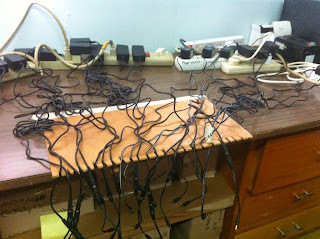 But then we had a mess of wires. So you would have to hunt for the little silver ends of the wires and then plug in the units. (in my dreams I'd have built a unit you could just slide the units into for charging, instead of hunting for cables and connecting them). I decided we needed a way to organize the ends of the cables, so that we could quickly grab them. I hunted around and found a thin piece of plywood, then took my leatherman's and hand sawed a few notches and voila! now the ends of the cables are super quick to find. These two changes, easy and free, have drastically sped up how long it takes us to prepare Audibibles. And that's a good thing since the current order I'm working on is 400. Due by end of next week. -it should fix the problem, while also identifying the need for a longer term solution. Often a jury rig convinces someone 'hey this is a good idea' and then you have popular opinion behind you and can go and find a more permanent and better solution. Getting things done, one day at a time. I jokingly come up with humorous and crazy theories from time to time just to see how my kids will react to it, and possibly to trigger their critical thinking so that they engage with a concept. and then people reply "He is Risen Indeed"
Easter morning is one of those rare mornings when a non-churched individual will attend church. And imagine their surprise when someone says 'He is Risen' and the entire room responds with 'HE is Risen INDEED!' as if they practiced it.. perfect unison, strong, loud, joyful. It's a Christian thing, it's a church thing. And it could make you feel on the outside. "Because one day, being a Christian is going to be illegal, and Christian need a way to know who they can trust. If you come across a stranger and you need to know if you can trust them you say 'He is Risen' if they reply 'He is risen indeed!' then you can trust them and go into their house for shelter. But if they reply 'um.. yup, sure whatever dude!' then you know they are not Christians and you can't trust them, and you need to run for your life." Of course that's not the reason. But its what I said and they knew I was joking. The real answer seems to be findable on Wikipedia. Apparently it's called a 'Troparion'.. The Paschal greeting, also known as the Easter acclamation, is an Easter custom among Eastern Orthodox, Oriental Orthodox, and Eastern Catholic Christians, as well as among some Roman Catholic and Protestant Christians. Instead of "hello" or its equivalent, one is to greet another person with "Christ is Risen! ", and the response is "He is Risen Indeed" (compare Matthew 27:64, Matthew 28:6–7, Mark 16:6, Luke 24:6, Luke 24:34). In some cultures, such as in Russia and Serbia, it is also customary to exchange a triple kiss on the alternating cheeks after the greeting. Our favorite Ukarumpa tradition is the Easter Sunrise Service. It starts outdoors in the dark, under the tall pine trees, with a wooden cross on the crest of a hill, facing where the sun will rise. As the service progresses and we sing and worship and pray, the sun rises and the light overcomes the dark. Then near the end, we bring flowers we picked from our garden and decorate the cross, thus transforming it from a reminder of pain, to a think of beauty. Much as Christ did. 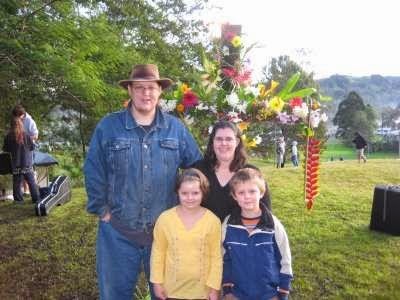 Then each year we snap a photo, and each year I am wearing that same jacket and that same hat. (yes I plan that). (also apparently each year I misplace the photo but here are a few more). I am going to make myself a little vulnerable here. I make mistakes. earth who continually does good and never sins." I'm not talking about sin in this entry, I'm talking about human error. that all of Acts chapter 13 was skipped. WOOPS. How did that happen? it, and then proceeded to put the OLD file onto the player. I skipped all of Luke and Acts for another language on the Audibibles. got it all edited and rendered and it's too long to fit on 1 dvd. WOOPS! and sent them back to me. because mistakes often happen because you're overworked in the first place. things with each project. I WRITE thing down. affected by dropping it. It's resilient, to most thing but water and fire. When I was young I saw a movie "Bill and Ted's Excellent Adventure". reach behind the plant, find the keys and cheer together. practices and systems to protect yourself. come home from work. I don't plop them down any random place. they would be in that basket. until it's right. Not perfect, but right. when I am in the U.S. or rather, that team becomes a remote team. remember to pray for us again for the next term. ear.' as well as lending an ear. years ago before we left the U.S. we placed three Geocaching dog tags with a kina coin around them, in various caches across the U.S. One in California, One in Northern Carolina, and one in Oregon. When people found the dog tag, they looked up the serial number, saw our story, and then moved the dog tag along to another cache. 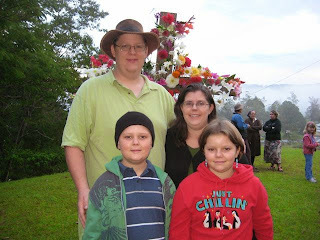 Our story was that of why we decided to move to PNG. Our challenge was to pray for us (if you're a praying type or person), and to further the dog tag towards Papua New Guinea. We hope that one day, someone will come to us and say 'I have your PNG dog tag here in my hand!' while we're in PNG, and we'd invite them in for dinner. Along the way the finders of the dog tag, write notes on our website wall and tell us something about themselves. (I got this idea by having found a journal with entries written in it, in which a couple on their wedding day, told their story, then dropped the journal off in the hopes that at their ten year anniversary it would find them again). About 3 years into the experiment the Dog Tags disappeared. I should never have attached unique coins to them. But then suddenly one surfaced in Germany. (we know several Germans here, and so, it could very easily job the pond to get here). The funny thing is, all the status update posts have been in German since it re-surfaced after a 4 year hiatus. And we don't know German. I have been meaning to have someone interpret for us.... but haven't gotten around to it. "who has been his goal but misses neat. participating with you after. then is true times the direction"
This is just one of the many 'unique' ways we're trying to share our story of how God has moved in our lives. Geocaching is a family fun hobby that we enjoy when we can, and we happened to be able to find a way to tell people about our ministry through it. I'm getting some private comments from folks that make me think I wasn't very clear. I'm a somewhat literal person, and when people ask me 'was it worth it?' I have a hard time answering what I perceive as a vague question. "Was the sacrifice worth the reward?" If so the answer is: I'm not seeking a reward, so I can't really say that the sacrifice is worth something I'm not trying to get. or "Was the sacrifice worth knowing people are coming to know Christ?" A: God highly values finding lost sheep. Following God I condition myself to ignore what I want and learn to want what He wants. So from that perspective yes, it is worth it. A. I can't really answer that because the question is irrelevant. If the question were relevant, I would have to spend a lot of time figuring out the value of things that I can't comprehend. I can not comprehend the value of an eternity spent in heaven. I don't know how to put a pricetag on a few precious moments with a loved one. I don't know how you would answer the 'worth it' question because we're dealing with variables that have a worth beyond measure. My point from yesterday was that the question was irrelevant because God has put this desire on our hearts and obedience is the only way we know how to live. At certain points in your life you look back and assess. From that assessment you think 'that worked out well" or "I should have done something different at that point" possibly you have some regrets, possibly you get some smiles. But we're not done. It really isn't time to assess the entire act. Our lives are continuing on, we plan to return to PNG. The only assessment I can make at this point is that it was the best decision of our lives thus far, to come to PNG. I think, I'm going to stop asking people 'was it worth it?' and start asking them 'was it a good decision?'. Yes it was a good decision. It was a hard one, but a good one. When I was in college my friend told me a story, which I later found out is called the "Story of the Taoist Farmer" or "The Horse that Ran Away". Digging a little there apparently are many versions of the story from multiple cultures. This farmer had only one horse, and one day the horse ran away. The neighbors came to console over his terrible loss. The farmer said, "What makes you think it is so terrible?" A war came, and every able-bodied man was conscripted and sent into battle. Only the farmer's son, because he had a broken leg, remained. The neighbors congratulated the farmer. "What makes you think this is good?" said the farmer. We look at our lives through a very small window of time. Our life spans are short compared to the history of man. We also look at our lives through a very selfish lens. 'This is happening to me', 'how is this affecting me?' I'm not judging, I'm just stating how we see the world. When we expand that view, past our lives on earth and think with eternity it mind, and with God's kingdom in mind, then our perspective changes on a lot of things. -I can't see what's going on in heaven, nor what my time on earth has produced. I am unclear if I will ever get to see if my life displayed and how it bore fruit in heaven. ('Thank You' by Ray Boltz comes to mind). I have faith that we've spent our time and effort doing things that will expand God's kingdom, and glorify Him. I'm aware that we're not needed, instead we're privileged to be asked to help. God could use anyone, we're not necessary, we're expendable and replaceable, and yet He loves us enough to ask us to serve Him. From an earthly selfish perspective, since I can't see what God sees, there are days when the sacrifices seem overwhelming. Those are my selfish days. But God has taught me through this life to have Faith that our struggles and our toils have meaningful and lasting results. With that faith I can firmly say that anything would be worth it. Any level of sacrifice would be worth it. Christ made the ultimate sacrifice for us, and so even without this faith that I have, I still have a debt that I'll never be able to repay. Regardless of worth, there is debt. But even if there were no debt, and our actions produced folly and had no worth whatsoever (which I do not believe they do) I would still have absolutely no choice but to follow and obey because a life lived outside of obedience would be a miserable one. God loves us and wants to bless us abundantly, and He does when you act in faith and obedience. God has blessed us in so many deep and meaningful ways since choosing this lifestyle. Ways I can't fully comprehend sometimes. There is a depth of understanding of His love for us that I just didn't grasp before coming to PNG. Just that closeness to God alone was worth it all. I'd do it again in a heart beat. That's what I should have said in my blog yesterday. I was having a hard time coming up with the words. I hope this helps. Q.People have asked me "Chad, what if one of your gets gets sick or injured or worse? Would you feel your decision was foolish?" A. In preparing to come to PNG we asked ourselves, 'where is the line we draw that says 'Okay God, I'm not willing to cross THIS line'?' Honestly, before He asked us to move to PNG the answer was 'I'll follow you but please don't ask me to move to a foreign country'. Then He did. So I wasn't about to draw another line. Definitely not "Okay we'll follow you to a foreign country but please don't let my kids get hurt." That seems like a bad idea to me. No, instead we had to resign ourselves to the fact that our kids may suffer. THAT is a very hard process to do for parents. To knowingly say to God, "I will obey you, even if it means I lose everything I love and care about." Why do you think we ask for so much prayer? I'm addressing these questions because people have asked them before. I would not feel the decision was foolish. It wasn't foolish. We spent years considering it, praying, training, investigating. We didn't go off half-cocked. We were as cautious as could be and ultimately obeyed. Q. How mad will you be if something very bad happens to your family because of your choice? A. Mad at who myself or God? The answer is neither. I've never subscribed to the 'its okay to be mad at God' theory of therapy. Part of relinquishing control to God is the understanding that bad things might happen. I read a book 'why bad things happen to good people" and the author was a former rabbi who lost his son. In the end, he lost his faith too. There are reasons for that. One reason is, asking the question 'Why?' 'Why God? Why did this happen?" My entire life I've found that question to be a really dangerous one. Who are we that we get to demand answers of God? How entirely selfish is that question... why? When I tell my children 'go to bed' and they say 'Why?' I say 'Because I told you to!' We don't often get to know why before something happens, and rarely after it happens. In Acts ch8 Philip was told to get into the Eunich's chariot, so he did. No idea why. Turns out, it was for a really good reason, as that Eunich came to know about Jesus. But Philip didn't ask 'why' he just started running. Asking Why assumes God owes you an answer, and He doesn't. He is sovereign. Just ask Job. So knowing He is sovereign I often don't bother with 'why' questions, but begin working on reminding myself that all things work together for God's good. And then further reminding myself that the Bible doesn't say 'that all things work together for Chad's good'. It could very well be, that bad things happen to me and mine. But when they do, I do not question that God is supreme, God is in command, God is good, and I am His servant. That won't make me mad at myself, nor at God, nor at the decision. I may experience anger, but it would be focused elsewhere until I can get rid of it. I think that's enough of my personal philosophy on life for now. This blog is supposed to be about what life is like over here. I guess I was sharing some of the mental process. I rarely get into 'preachy' mode because I figure most people have this stuff figured out WAY more than I do. 2007. It is time for some reflection. first child, a boy, and I was not in attendance. the story of how 1 man reading his Bible, changed a community. soul entering into heavenly gates. But that's God's economy, not mine. will be in heaven', but to be honest I'm not seeking a heavenly reward. 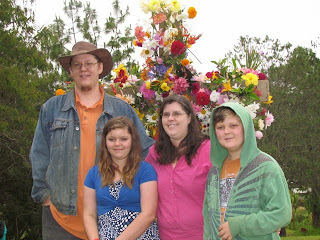 and my wife and children want to be in their relational roles as well. cry, to comfort, to cheer, to celebrate to LIVE together. smelling sacrifice to God is how I worship Him. sad that I get to participate in this wonderful ministry God is doing. stranger as I love my sisters, but God can instill that in me. the lost sheep. He tells us to depart from family. and work on correcting them. feel the urge to return before long. somewhere beyond the blue.....I can't live at home in this world anymore." sense to us. This constant battle of wills and choosing to please God. not... they're making a sacrifice. now to see this...' your sacrifice has not gone unnoticed. We miss you, we're excited to see you soon! It's been a crazy 7 years, and I wouldn't trade a moment of it. those in that position I was in 7 years ago, I have this to say. make. We made it 7 years ago. Not everyone gets the opportunity to make that hard choice. Consider yourself fortunate that you have such a cross to bear. seeing you soon for 1 year in the U.S. come June 2014. Lunch time, power is out because the guys are working on the power lines. Sun is out, sky is clear. KABOOM! CRACK!! .. the house shakes with thunder. We all jump half out of our skins. Turns out lightning struck near a neighbors house. Lightning damage is very real here at 5000 feet. Seeing lightning strike is not a rare occurrence but often it's pretty off-in-the-distance. Today it was local. People reported modems dying, surge protectors melting, etc. Outside of the normal electrical damage, there is EMP damage... it can make electronics behave oddly. Because of this part of life here, we have surge protectors, power guards, UPS battery backups, generators, all kinds of things. I have always found it fascinating how man adapts to his environment to live, and what once seemed exotic and new, becomes a daily behavior. For example, if you live in a very snowy area, putting on snow coats and boots wouldn't be a hassle after a while as you adapt and develop habits. Such is life here, we adapt to the idea that there are earthquakes and lightning storms, and land slides and that sort of thing. Once you remove yourself from worrying about danger, you start to appreciate the beauty. We often sit outside and watch the lightning storms, it's really a wonderful thing to see. vehicle half into the drop off that the grass was disguising. typical for PNG. We were heading along a 2 hour drive in 2 vehicles. One was four wheel drive, the other a 2 wheel van. parked on a hill in case that happened, roll start, and away we go. if you wave back and aren't looking you'll hit a pothole. and bust an oil plug, the car behind us will notice we're leaking oil. warm up, kids not aware there was a car coming on their 'walkway' etc. hopes that it would charge on the remainder of the ride home. good, belts were tight, etc. and muddy concrete drainage ditch. hope with the women and children, while we stayed to help. We gave him a few tugs before our tow rope broke. He was very stuck. offered several small bills to the men who helped, which is customary. issue the drive a ticket for nothing in particular. tok-pisin, we went on our way, sure that all was good. And then we arrived home not much longer after that. avoid being conned, and the other helped a stranger get unstuck.